This project is started with an aim to improve the quality of education in rural areas. Through this project, students from 'ERRSM Government Higehr secondary school' are supported in various ways to continue their education and improve the quality of education. 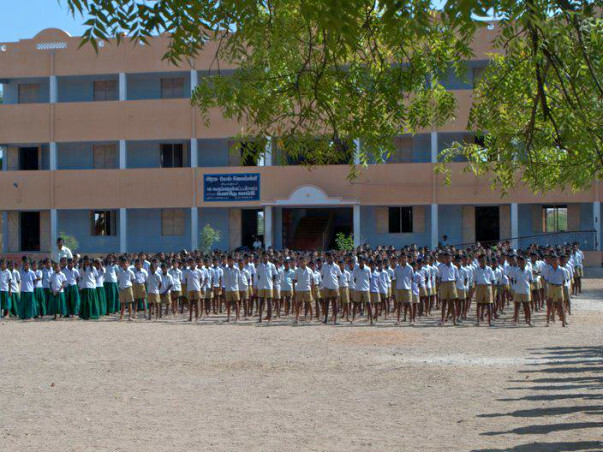 This school is located in a remote village called TNC Alangulam in Tamilnadu. This village is surrounded by many other villages, which do not have facility to provide education upto higher secondary level. 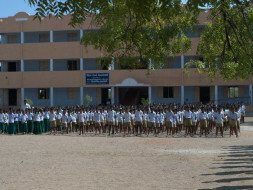 every classroom consists of around 100 students. 90% of the students are from very poor family. As part of benefit programs from ERRSMOSA, every year, the students who excelled in 10th standard and 12th standard are identified and monetary support is provided to them as a motivation to continue their education. Scholarship for girl students are provided to improve the female education rate. Monetary support is provided to improve the facilities in the school (wherever possible) and supervised. The following are in pipeline: 1. Free health check up for students 2. Improving facilities in the school to support hygiene and well being of the students 3. Setting up virtual training class rooms to enhace the knowledge through people and methods, which are not available in the area.